Well, the paper, nesties and ink on my desk were just begging to be used after my last card, so here’s another quick one! This one is a lot more simple in design. Textured SU cardstock for the cardbase in Pink Pirouette. Labels 18, Lacy Oval and Oval dies layered next. The focal image is from SU and entitled Garden from the Heart. It’s been stamped in Close to Cocoa and embellished with a little Sweet Pea Flower Soft. 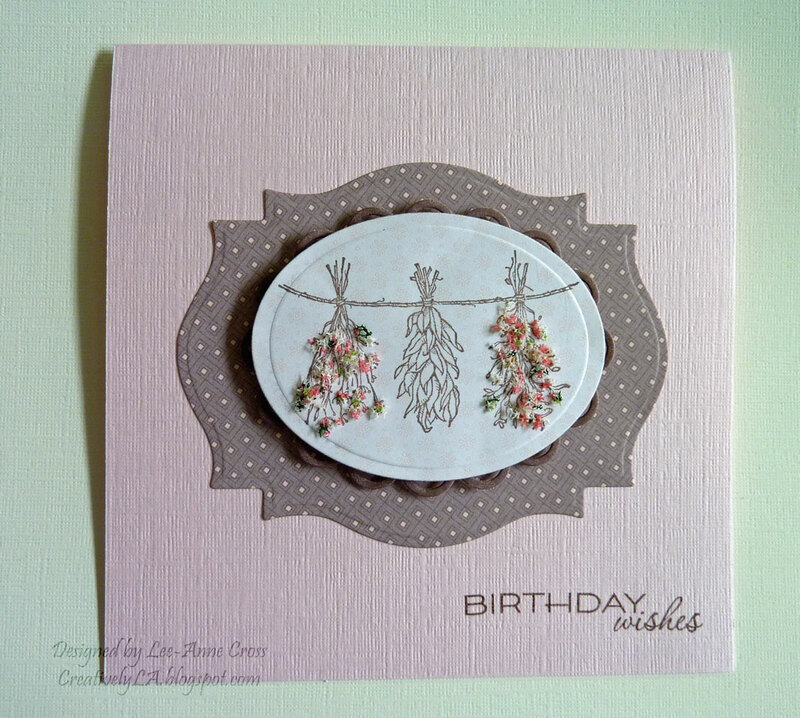 The sentiment is from Waltzingmouse Stamps and is also stamped in Close to Cocoa.